Tipper Hire, Muckaway & Muckshift - Frank O'Gara & Sons Ltd.
We have successfully operated a fleet of lorries for over 50 years and in doing so demonstrated to our clients that our vehicles, drivers, maintenance team and supporting infrastructure know that what is upmost is getting the job done, promptly, without question, without cutting corners and within the guidelines set by the Governing Authorities and the HSE. 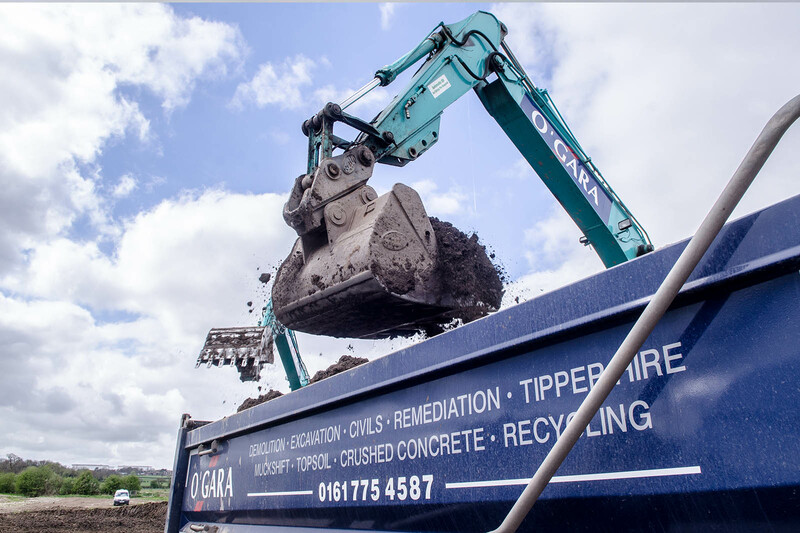 The experience, knowledge and learned approach combined with a modern fleet of 8 wheeler Tipper Lorries allow for all kinds of muck shifting operations – whether this be disposal off site or importing fill material of clay lining material. We have knowledge, experience and a 'solution approach' to undertake the removal and transportation of materials whether they be categorised as Inert, Contaminated or Hazardous and shall endeavour to offer a reasoned and cost-effective strategy. 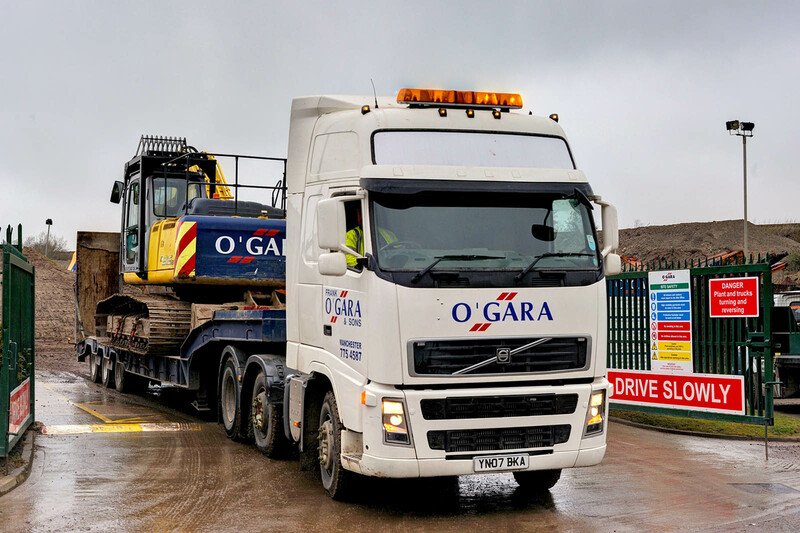 Our tipper lorries are fitted with the latest camera technology so they remain safe on site to those working in close proximity with the driver benefitting from 360 degree vision around his vehicle. Some site arisings are suitable for re-processing and not simply sending to land fill. These arisings are processed at our Waste Transfer Station which has an operable 24/7 licence thus enabling our tipper lorries to cart away from sites day and night (subject to waste category of material) and has proven essential whilst undertaking Highways, Rail and Airport contracts. 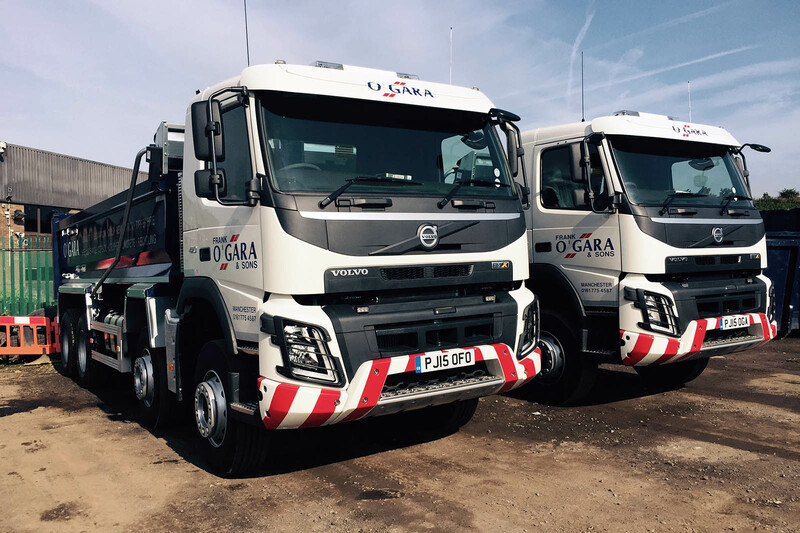 We always undertake muck shift in accordance with the current Waste Regulations and being a registered waste carrier, have a duty of care for the arisings we transport and so back this up with full auditable correspondence.